The New Cambridge Shakespeare appeals to students worldwide for its up-to-date scholarship and emphasis on performance. The series features line-by-line commentaries and textual notes on the plays and poems. Introductions are regularly refreshed with accounts of new critical, stage and screen interpretations. Shakespeare's plays about the reign of King Henry VI were written at the beginning of his career. A recent series of outstanding productions has demonstrated their theatrical vitality, and their sceptical questioning of Elizabethan orthodoxies has been understood through revisionist readings of the history of Shakespeare's own times. 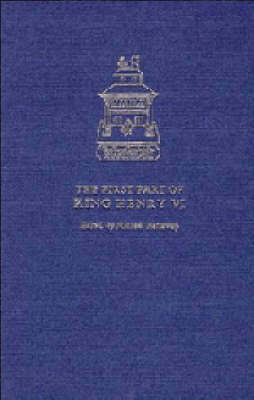 The First Part of King Henry VI, which gives us Shakespeare's portrait of Joan of Arc, is revealed as a successful venture in its own exploratory style, and as a necessary account of key events in the Hundred Years War without which the Wars of the Roses, anatomised in the following two plays, cannot be understood.